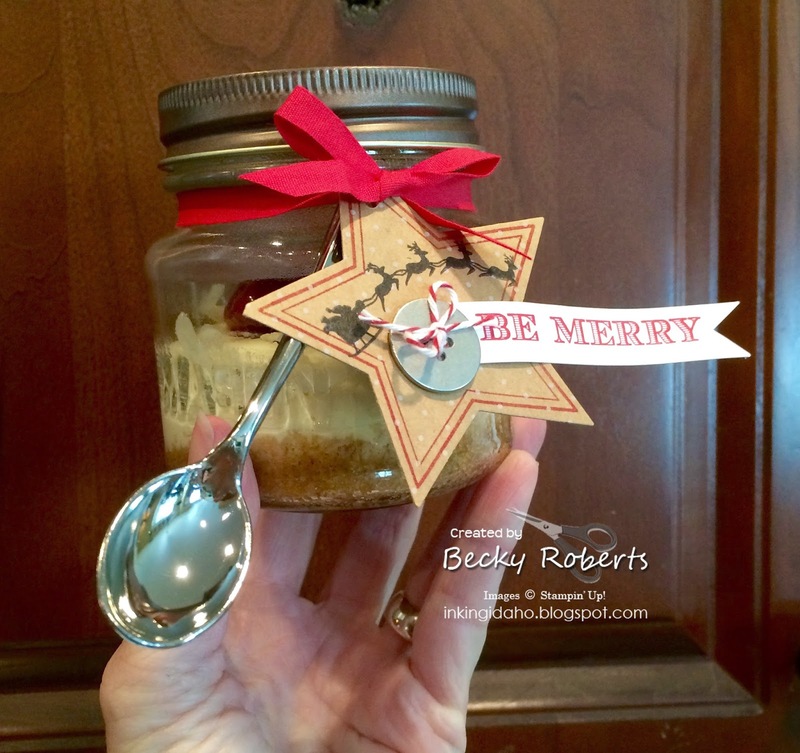 I made cheesecakes in a jar for dessert at my downline Christmas party. They were so fun and easy and I loved the presentation. I ordered the jars and lids from Amazon and I found the little spoons at our local party store and used my Crop-a-dile to poke a hole in the end to tie it on. Other toppings: I used mini chocolate chips. You can really do anything you like for the toppings. All kinds of fruit would work, caramel sauce, meringue, etc. Spray the jelly jars with non-stick cooking spray, making sure to spray the bottoms so the crust doesn't stick. Blend the graham cracker crumbs, 2 tablespoons of sugar and melted butter in a bowl. Place about 1 heaping tablespoon of the crumbs into each jelly jar and tamp down to make the crust (I used a wine cork). For the raspberry topping: pick over the raspberries and discard any that are moldy or bruised. Place 7 raspberries on top of each cheesecake. Heat about 1/3 cup of the jelly in a microwave and stir so that the jelly is spreadable. Brush the tops of the raspberries gently with the jelly to glaze them. Refrigerate cheesecakes until ready to serve. Can be made the day before.